The medical career has been on top in attaining respect. They are being called God. One has to live like hermit to become saviour for the society. An aspirant desiring to crack medical entrance exam should thoroughly study Ncert text-books as 80-90% questions come from Ncert only. He/she must update his knowledge as per his/her text-books and then switch to other reference books. 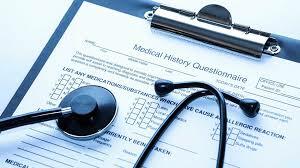 The medical entrance test paper consists of 180 questions with time duration of 180 minutes. It would be excellent decision of a candidate to attempt all questions of biology first, then chemistry and physics. Generally students of medical stream do not study Maths in XI-XII classes so they should practice little more on physics also. As physics is practical application of Maths so the candidate should prepare as per Ncert norm. There is no point in taking multi-coaching classes and neglecting self-study hours. Only self-study can transform the dream of becoming doctor into reality. The aspirant should indulge in mock-test organise by nearby institutions. It would give him/her the clear picture of their preparations. The seats in India are approximately 53,000 and every year 6 Lakhs aspirants appear in medical entrance exams. So, relevant topics of biology should be revised at least twice. Most of the students take biology very easy and this overconfidence prove obstacle in their success. By watching NEET preparation videos, one should make out its own strategy and time-table. Without it, success is not 100% sure.